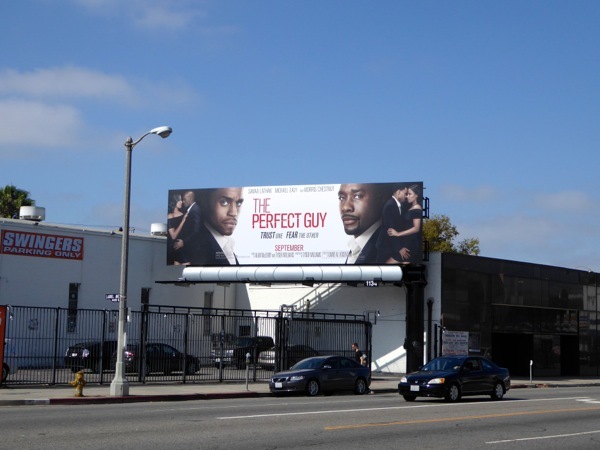 If you're looking for a break from superheroes, cartoon characters, sequels, reboots and young adult book adaptations this month, then maybe The Perfect Guy is the perfect thriller for you. 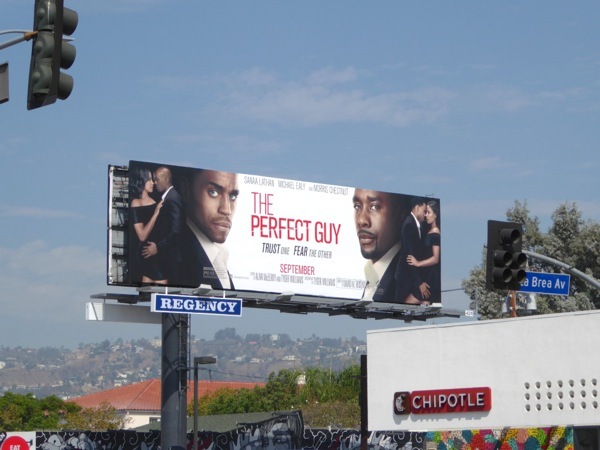 Sanaa Lathan stars as a successful lobbyist, who after a painful breakup with Morris Chestnut, has a passionate fling with the charming Michael Ealy. 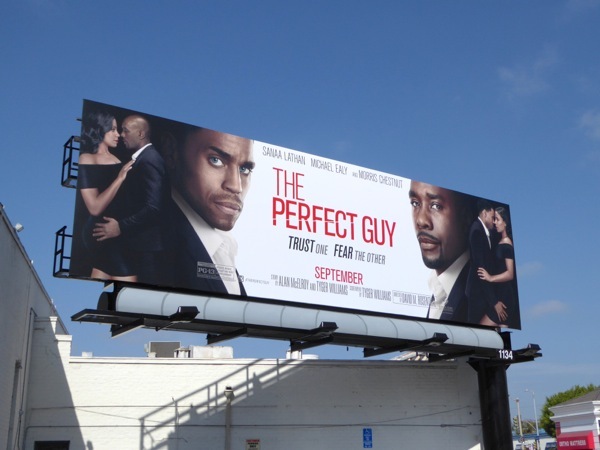 After a series of troubling incidents, it turns out this new 'perfect guy' may be too good to be true, as things turn nasty. 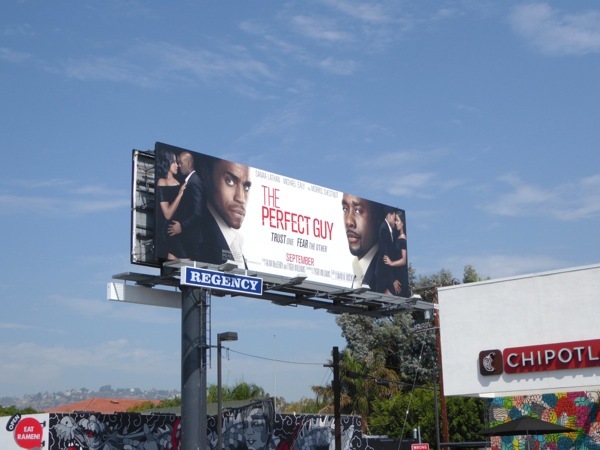 These billboards for The Perfect Guy were first spied along Melrose Avenue on August 19, plus later along Beverly Boulevard and Wilshire Boulevard on August 23, 2015. If you're a fan of Michael Ealy, you can also check him out in these Almost Human series billboards and these Think Like a Man movie billboards. 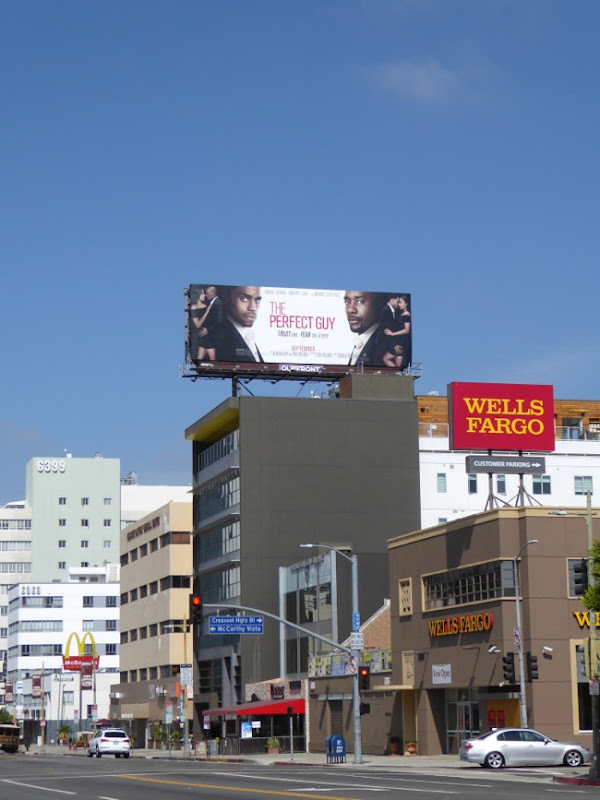 You can also check out Sanaa Lathan and Morris Chestnut in these movie billboards for The Best Man Holiday. Which guy would you choose?